Originally a local farming community. It was developed for the Albertville Olympics in 1992. Full of alpine charm and with panoramic views of the valleys, La Tania enjoys an envied position amidst beautiful pine forests and snowy mountains and is renowned for it’s exceptional skiing, and has established itself as a firm favourite for families and groups. Situated between Courchevel and Méribel, it offers some of the best access to the extensive 600km of Les 3 Vallées pistes and fabulous off piste. The village itself is well equipped to provide everything you might need throughout your stay, including a supermarket, bakery, newsagent, restaurants and bars. The 3 Valleys area spans 600kms with over 200 ski lifts, and has the largest number of open connected runs in Europe. There is so much to explore, skiers of any level will never run out of things to do. It is also one of the safest ski areas in the world. 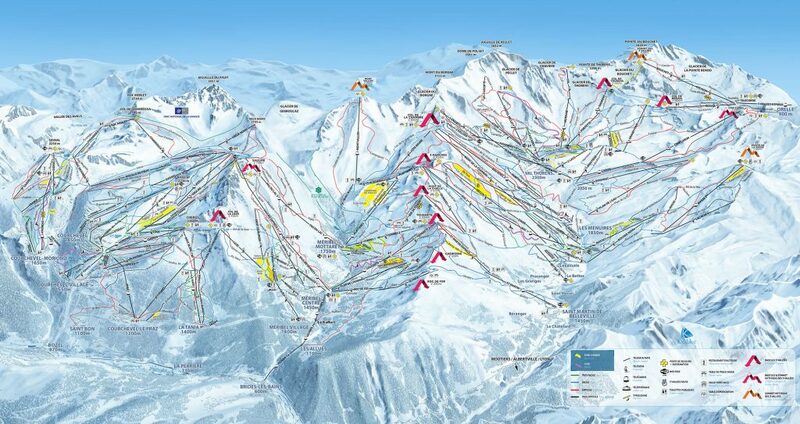 There are 12 resorts in ‘Les 3 Vallées’, each with individual character and style. To give you an overview of different places to visit during your stay, we have added a link to their websites for you to explore.